WHAT WERE THE FEATURES OF THE 1960 INDEPENDENT CONSTITUTION OF NIGERIA? Finally, the long colonial administration of the British over Nigeria, spanning about 100 years, came to an end on the 1st of October, 1960. This feat was accompanied by the introduction of a new constitution, called the independent constitution of Nigeria. 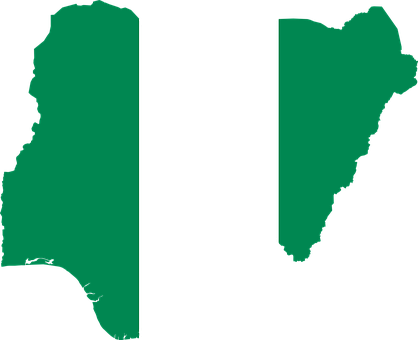 On this very day, Nigeria became an internationally recognized sovereign nation. There were several salient features of the new Nigerian constitution which shall be discusses below. One of the features of the new Nigerian independent constitution of 1960 was that it retained the federal system of administration. By the time of independent, the country had already divided into three regions, the North, East and Western regions. These three regions formed the federating units, in addition to which a central government was created to administer the entire country. The new constitution made provisions for a parliamentary system of government. The constitution created the position of a Head of State and a Head of Government. The Head of State was the Queen of England, represented by the Governor-General. The three federating units were headed by Regional Governors. The Head of Government was the Prime Minister. He was a Nigerian in the person of Alhaji Sir Abubakar Tafawa Balewa. He was responsible for the day-to-day administration of the country. Another feature of the constitution was that it made provision for the establishment of a bicameral legislature. There were two houses of legislature, both at the federal level and at the regional level. At the federal level, there was the House of Senate and the House of Representatives, constituting the Upper House and Lower House respectively. The House of Senate was made up of 44 members and the House of Representatives was made up 312 members. At the regional level too, there was a House of Assembly and a House of Chiefs in all the three regions. The constitution made provisions for the establishment of a Judicial Service commission. The main responsibility of the Judicial Service commission was to recommend qualified people who could be appointed as judges. The new independent constitution also made provisions for the citizens to enjoy their fundamental human rights. The rights of the people were entrenched in the constitution. No clause on the fundamental human rights of the people could be easily amended, except through a cumbersome process. At independence, the judicial structure was still subservient to the Judiciary in London. The highest court of appeal did not reside in Nigeria. The Privy Council in London constituted the highest court of appeal. The new constitution allocated powers to both the central government and the regional governments. The exclusive powers were allocated to the federal government and the residual powers were allocated to the regional governments. There was a concurrent list on which the two levels of power could legislate. However, in case of a conflict between the two, the laws of the regional government become null and void. 1. Highlight six features of the Nigerian independent constitution.